The heck with the Forman grill, welcome to M16 Grill … BACON!!! Below is the VIDEO of NYC Mayor de Blazio doing his best imitation of Chicken Little and the sky is family saying that the snow storm could be the largest snow storm in the history of the city. De Blazio stated that the snow projections are to be between 2 and 3 feet of snow that will hit the city. His message to New Yorkers was, “prepare for something worse than you have seen before.” Wait, was de Blazio talking about the snow or him being mayor? Needless to say, NYC pretty much received little to no snow and yet he still shut down the city. Maybe the weathermen will turn their back on you next. I am surprised uber-liberal deBlazio did not blame the fowl up of the lack of snow to NYC on global warming. The storm lived up to its billing here, where it dumped 19.1 inches, the fourth heaviest amount of snow on record for Providence. But in New York City where similar “historic” forecasts helped close down Gotham for a storm that fizzled, meteorologists and public officials were being accused of a “historic” screw-up. 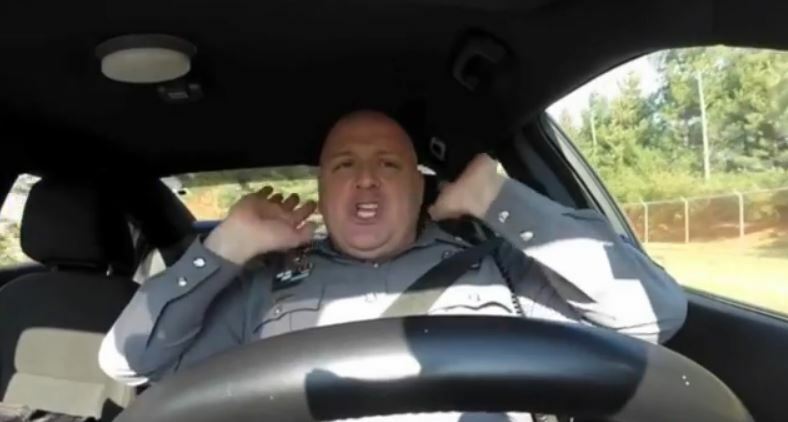 You gotta love it … police officer shaking it off to Taylor Swift. OMG, this is just too funny. Dover, Delaware Master Cpl. Jeff Davis was videoed on his police cruiser dash cam singing to Taylor Swift’s ‘Shake It Off. THIS IS A CLASSIC. Maybe Taylor Swift has a new back up dancer for her next VIDEO. Check out the video, officer Davis has the hand shake it off gesture down pat and the head bobs too. He doesn’t even miss a beat when he is busted by some one in a car and he gives a hand wae and goes about bopping the the music. There are so many classic moments to this video, it is a must watch. You can see in the video, officer Davis knows every word to ‘Shake It Off’. As it turns out Davis daughter is a fan of the pop star,“My daughter loves Taylor Swift and ‘Shake It Off’ has been playing nonstop in my house since it came out.” The video has over 14 million views. “While reviewing in-car cameras we tend to see some ‘interesting things,’ reads an introduction to the video. 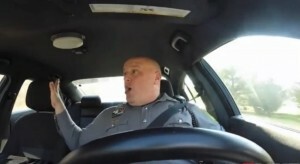 “We decided to share some of them with you in a new series called Dash Cam Confessionals. And there comes Davis, in full uniform, sitting behind the wheel of his patrol car with Swift wailing from its speakers. He lip-syncs. He tilts his head, rolls his eyes and covers his chest with a hand. The funniest bits occur when he sees someone passing by and gives them a very serious wave. 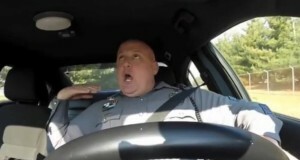 Check out the many freeze frames of police officer Jeff Davis Shaking it off. I have to admit it, listening to Taylor Swift is one of my guilty pleasures as well as I am hardly the demographic. 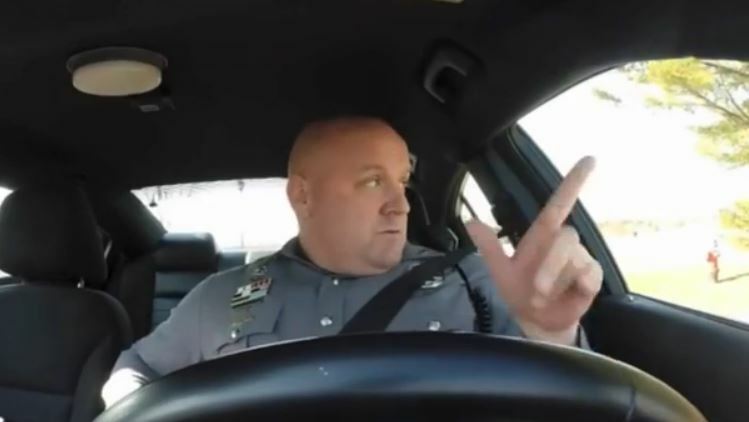 I wonder if Dana Pretzer does the same in his patrol car? Hey Dana, what music are you car-dancing to? The original music video of Shake It Off by Taylor Swift has an amazing 487,824,961 views and counting. Even uber-Lib comedian David Letterman is mocking President Barack Obama these days. With the Obama administration not providing a name to the war on ISIS, Letterman announced to his audience that it appears that Obama has finally come up with a name for the war on ISIS … “Operation Hilary’s Problem”.